no uplift on the date you want? 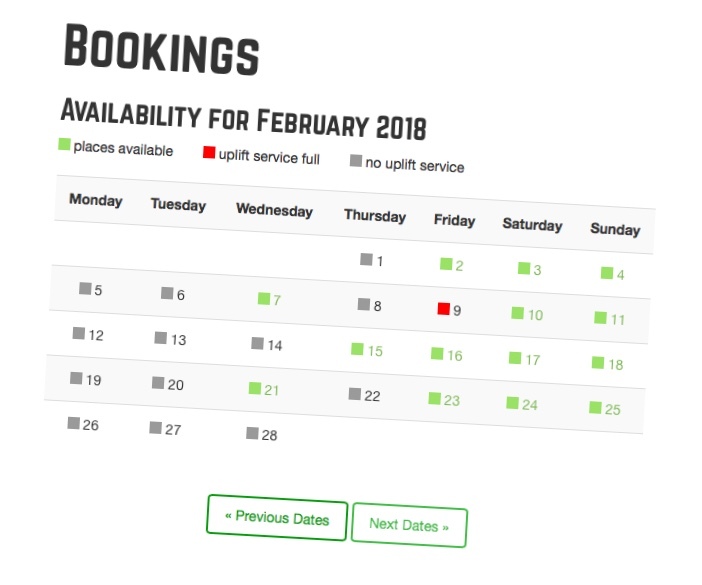 If you have a group of friends who want to ride, but the date you’re interested in is currently showing “no uplift service” (shown in grey), there is a chance we could run it for you, as long as you have at least 5 riders who want to book a full day ticket. Simply enquire. If we aren’t out riding and don’t have anything else important going on, we’ll open for you. We will open your date online, then you’ll have 24hrs to book your tickets. (minimum of 5 riders).